Summer is finally here, and the longer days mean we all have more time and motivation to go out and make the most of the warmer weather. 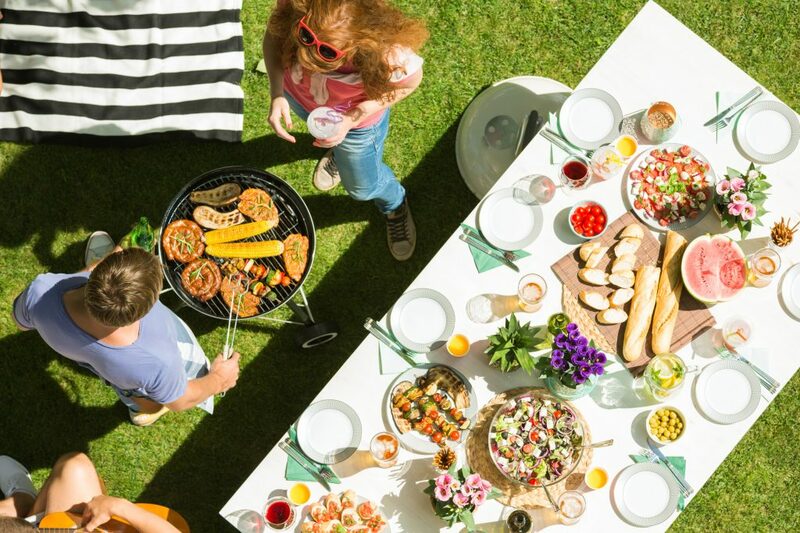 Barbecues, festivals and bank-holiday hangouts with friends are all synonymous with this time of year, but have you ever thought about how some of the treats we enjoy during the warmer months may damage our oral health? We’ve pulled together a list of 5 summer foods that are bad for your teeth and some handy alternatives so you can feel confident in making the right choices for your smile this summer season. We all know that drinking alcohol isn’t good for us, but in moderation a refreshing beer or sangria can be the perfect accompaniment to a barbecue or summer festival. However, besides the well-known health risks associated with alcohol, drinking can actually dry out your mouth. This is worsened even more when alcohol is combined with sugary fizzy drinks. We need saliva to keep our mouths healthy, as this naturally prevents food from sticking to your teeth and washes away food particles. Saliva also repairs early signs of tooth decay, gum disease, and other oral infections – so it’s super important to drink plenty of water and stay hydrated whilst also making sure to be eating foods that are good for your teeth all year round, not just in the summertime! Whether it’s adding a couple of slices for lemon in a glass of water, or biting into some orange segments for a refreshing summer snack – the acid content in citrus fruits can erode enamel meaning that your teeth are more susceptible to decay. You can still get your Vitamin C and antioxidant fix, though. Just make sure to eat and drink any acidic foods like citrus fruit in moderation, and rinse with water afterwards. Also, replacing acidic fruits sometimes with foods that are healthy for your teeth like pears or apples is a great way to maintain a healthy smile. They’re a great addition to a picnic or bank-holiday get together, but crisps unfortunately aren’t the best snack for your teeth. Chewed up particles often settle in the pits of your teeth, meaning that cavity-causing bacteria have a perfect environment to wreak havoc. Instead, why not snack on foods that are more healthy for your teeth such as munching on a fruit platter, or serve up a refreshing veggie selection with some carrots, celery and raw broccoli? These types of vegetables act almost like nature’s toothbrushes, scrubbing off any build-up and helping your mouth to produce saliva to wash away any leftovers. Now this one may surprise you, as we’ve already recommended that you drink plenty of water. Ice might be your best option for cooling down on a hot day, but it isn’t necessarily the best option for your teeth. Chewing on hard foods like ice can put you at risk of a dental emergency like a broken tooth or even damage that all important enamel. If possible, we recommend chilling drinks before hand without the need for ice just so that nobody is tempted to crunch on ice cubes once they’ve finished their drinks. If you want ice though, crushed is always better than cubes! A popular choice when finding something to pair with that hot dog or burger, white bread is actually bad for your teeth. The processed product sticks into the nooks and crannies of your teeth, inviting bad bacteria in. Even after you’ve eaten it, white bread has enzymes that convert to sugar, meaning that you’ve got double the damage on your teeth. If you insist on having a slice or two to go with your summer snacks, reach for a whole meal bread with grains, seeds and nuts. These types of foods are good for teeth and will help break down some of the anti-enamel Phytates that bread produces. If you’re looking to book an appointment with one of our hygienists, or you simply want some more help with improving your dental health, please don’t hesitate to get in touch. Give us a call on 0151 722 3000 and we’ll be happy to help.